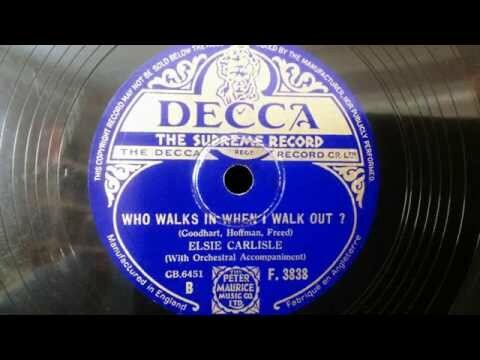 “Who Walks In When I Walk Out?” Words by Ralph Freed, music by Al Goodhart and Al Hoffman (1933). 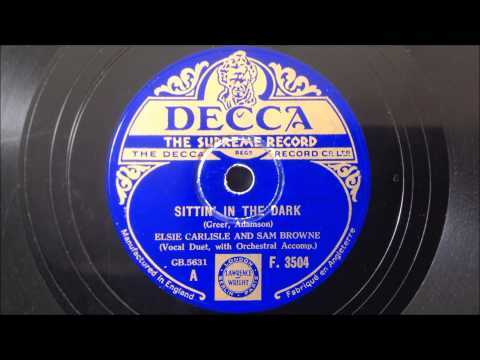 Recorded on January 2, 1934 by Elsie Carlisle. Decca F. 3838 mx. GB6451-2. One might think, from its credits, that this “Goodhart-Hoffman-Freed” song was written by the composers of “Fit as a Fiddle,” which Elsie Carlisle had recorded a year earlier, and one would be just slightly more than two-thirds correct. 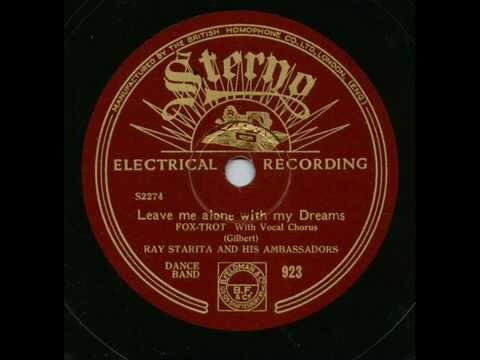 The music was composed by the same two men, while it was Arthur Freed’s somewhat less famous brother Ralph who penned the lyrics to “Who Walks In When I Walk Out?” The latter song would fit in nicely in a soundtrack for a film about American gangsters, although I am not aware of anyone’s actually having used it that way. It was versatile enough to have crossed generic boundaries early, with a 1935 country version by Bob Wills and His Texas Playboys. For Elsie Carlisle, it provided an opportunity to explore a slightly lower area of her vocal range than usual, and her voice has a brooding quality to it as she makes a series of jealous accusations of infidelity, along with what appears to be a physical threat (“I’m gonna give you the third degree…”). 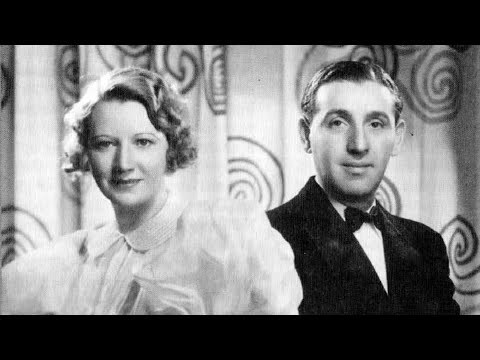 In 1934 there were American versions of “Who Walks In When I Walk Out?” by Adrian Rollini and His Orchestra (Herb Weil, vocalist), and Paul Whiteman and His Orchestra (with Ramona Davies). In Britain artists were more prolific, with recordings by Harry Roy and His Orchestra (with vocals by Bill Currie), Scott Wood and His Orchestra (with vocalist Sam Browne), Jack Payne and His Band (who made one record with Billy Scott-Coomber and one for a German label that was entirely instrumental), The New Mayfair Dance Orchestra, under the direction of Ray Noble, with vocals by Al Bowlly (who curiously talks his way through the lyrics — but to great effect), Jock McDermott’s Silver Serenaders (with vocalists Fred and Leslie Douglas), Harry Leader and His Band (as Joe Taub and His Melodians, with Leslie Holmes), Aileen Stanley (who had relocated to London and was accompanied on this recording by Max Goldberg and other British artists), Madame Tussaud’s Dance Orchestra (with vocalist Annette Keith), Dare Lea’s Band, and the Astorians Dance Band.